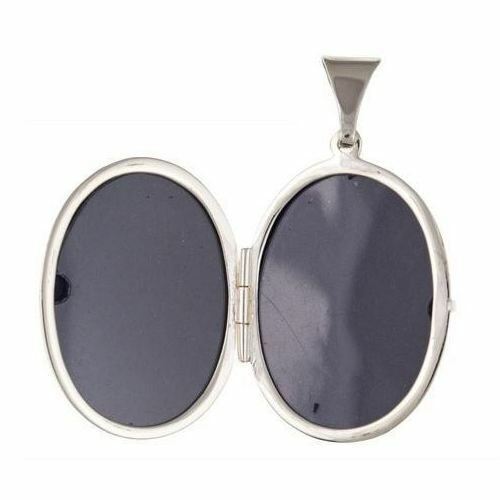 Sterling silver 30mm edge patterned oval shaped locket. 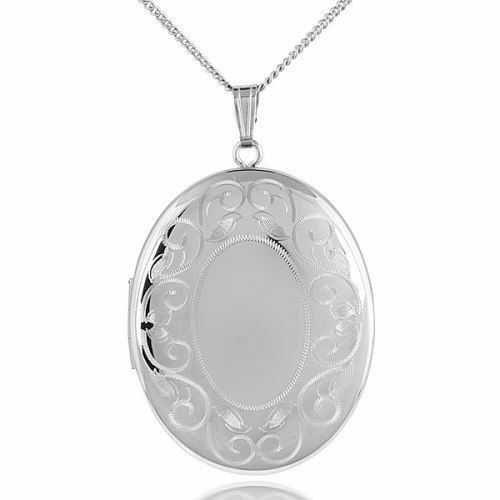 A beautiful sterling silver patterned oval locket, suspended on a sterling silver curb chain. Measures 30mm in height including bale and 20mm in width. Carry your memories with you wherever you go. A lovely treasured jewellery gift for someone special. Comes complete with a beautiful presentation box. Please allow 3 working days for free UK delivery.